Pete Wishart:Thank you very much, Madam Deputy Speaker. I was not expecting that, but I am delighted to be called so early in the debate.This is a rotten Bill made all the more rotten by some of these appalling amendments. We are in this position because the Government are in an appalling race to the bottom with the UK Independence party—this is all about seeing who can be toughest on immigration. I have to say to the Home Secretary, “You’re not gonnae win that one—forget about it. You cannot out-UKIP UKIP. They are the masters of nasty, pernicious populism, and you’ll never beat them.” It is a credit to the Government that they will not be able to beat UKIP on such issues but, by God, with this Bill and their amendments, they are having a good stab at it. I expect the right hon. Lady to lose that particular battle.The Government’s stated aim through the Bill is to make the UK a more hostile environment for illegal immigrants. Well done Home Secretary; you have certainly achieved that with fantastic aplomb. The job of these right-wing immigration Bills is to do two simple, straightforward things: stop people coming in; and kick out as many people we do not like as we can at the same time. The Bill manages to achieve both those objectives, and the addition of the Government’s amendments and new clauses means that it will be done even more thoroughly. Dr Thérèse Coffey (Suffolk Coastal) (Con):Is the hon. Gentleman happy about how long it can take to remove someone who has broken the law and is not legally entitled to be here, despite the risk of their committing further crime in this country? Pete Wishart:I will address that point directly because it is at the heart of what we are debating and something that my hon. Friend the Member for Banff and Buchan (Dr Whiteford) mentioned. I am happy to ensure that people who have been found guilty of crime after going through the core judicial process are deported, but I am very unhappy about suspects being deported and facing the full force of the law. This is part of a trend. It was a theme of new Labour that a person needed to be only a suspect for things to be flung at them. Labour created a fantastic anti-civil libertarian state that the Conservatives, to their credit, dismantled quite effectively, but we will now have an anti-civil libertarian state—created by new Labour and continued by the Conservatives—that has the basic premise that it is all right to throw suspects out of this country and to treat them appallingly. Jeremy Corbyn:Is the hon. Gentleman aware that if someone is deported but allowed to conduct an appeal in this country, it is almost impossible for them to do that? A deportation therefore effectively involves no real right of appeal nor any real access to justice, so it is a pernicious decision. Pete Wishart:The hon. Gentleman is spot on, and he gets to the heart of what we are debating. What is happening in this country—the fact that we are prepared to legislate in such a way—makes me feel ashamed. It is appalling that my country of Scotland is being dragged into this nasty, pernicious, appalling race to the bottom on immigration. It is such a shame that we are not independent yet to allow us to get out of this absolute nonsense. Mr Nigel Dodds (Belfast North) (DUP):So you are against the Bill. Pete Wishart:I think the right hon. Gentleman will find that I probably am. Mr Brian H. Donohoe (Central Ayrshire) (Lab):Surely it is within the scope of the hon. Gentleman’s Parliament and Executive in Scotland to change the law and make the situation in Scotland narrower. 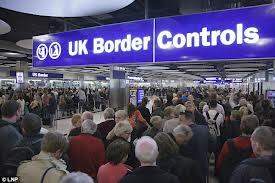 The Minister for Immigration (Mr Mark Harper)indicated dissent. Pete Wishart:We should have an LCM, but the Minister can explain why we are not getting one. Mr Harper:With the greatest respect, I have had conversations with the First Minister and engaged in correspondence with Scottish Ministers. Our clear view is that the Bill deals with reserved matters for a reserved purpose, so we do not believe that an LCM is needed. The tone of the responses that I have received from Scottish Ministers—Scottish National party members of the Scottish Government—does not accord with what the hon. Gentleman says. Pete Wishart:That is not my view of the correspondence that I have seen. I am surprised that the Minister says such a thing because the Bill is foreign to how we want to run our NHS. It has nothing to do with how we want to deliver our devolved services. We are not privatising the NHS like they are down here; we want to invest in it and ensure that it sticks to the ’45 principles of “from cradle to grave”. We fundamentally disagree with the Government about the need for such measures, and we want an LCM so that we can say clearly to them, “Stay out of our devolved services. Keep your race with UKIP out of our delivery of the NHS and other devolved services.” I still hope, although it is probably too late, that we will have an LCM.A number of the measures in the group are pretty chilling, one of which is new clause 18, on which the Home Secretary spent such a good part of her hour and a half speech. What an appalling measure. This is about removing citizenship from people. Watching the Home Secretary’s attempts to respond to the many searching “what happens if” questions would almost have been comical were it not so sad. She could not start to answer the simple question—some of my hon. colleagues on this side of the House might want to revisit this during the winding-up speeches—of what happens to someone who is stripped of their UK citizenship but is not taken by any other country. I think I heard something along the lines of, “We might give them their citizenship back,” but if that is the case, what is the point of doing it in the first place? Who is going to take these people? Are we going to launch them into orbit and leave them circling round the Earth as stateless people without any sort of citizenship? Is France going to take them, or Germany? [Interruption.] What about an independent Scotland, I am asked. Where will those people go? This is the big question that the Home Secretary has been unable to answer: what will happen to those people once they have been deprived of their citizenship? What will happen to their children, or the people who depend on them? We really need to hear from her on that.The Home Secretary is effectively asking us to agree to allow her to rip up the passports of people who live in this country. As I have said, these measures have been introduced so late in order to prevent Back Benchers from having the opportunity to speak about the most important parts of the Bill and so that they cannot be voted on, which is absolutely appalling. In fact, to say that the Government’s amendments look like they had been written on the back of a fag packet is to do a disservice to some fantastic speeches that I have heard delivered from the back of a fag packet. Little thought seems to have gone into them.The plans for the revocation of citizenship have been made by the Home Secretary behind closed doors and without any sort of due process or transparency. Hon. Members might have seen the reports in The Independent today about how some people have subsequently been killed in US drone strikes or rendered to secret locations to be interrogated by the FBI. Perhaps that is what will happen to all these people. They are being betrayed by their own Government, whose duty is to protect them, not throw them under a bus in order to help powerful allies, which looks like what we will be doing. She said that we are simply returning to the situation that existed before 2003, but the UK has signed and ratified the 1961 convention on the reduction of statelessness, to which more than 50 states are signatories. We will now be breaking that.I will speak briefly about new clause 15, tabled by the hon. Member for Esher and Walton (Mr Raab). We know, as has been said again and again, that Conservative Members do not much care for article 8 of the European convention on human rights. They would have us believe that there are all sorts of foreign criminals marauding across our communities, living the life of Riley on benefits and then going home to phone their expensive lawyers, saying, “Get me off on article 8.” That is the type of image they present. They continue to attack some of the great protections that we have secured over many decades on the back of the European convention on human rights. We are now seeing yet another attack on our human rights. It is no surprise that it comes from the Conservative Back Benches. I very much hope that we will resist it. Charlie Elphicke:On a point of clarification, and in relation to the new clause tabled by my hon. Friend the Member for Esher and Walton (Mr Raab), if Scotland were to become independent, does the hon. Gentleman believe that it would not only petition to join the European Union as a new accession state, but seek to join the Council of Europe? Pete Wishart:Yes, and I will tell the hon. Gentleman something else: an independent Scotland will sign up fully to the European convention on human rights and take our responsibility in that regard very seriously. We will not be cavalier, as this Government seem to be in their approach to some of these very important human rights. I look forward to the day when Scotland, as an independent nation, will take very seriously its responsibilities to protect our citizens and ensure that they are properly protected by international laws and regulations. Jacob Rees-Mogg:I do not understand why the hon. Gentleman does not have the courage to claim that Scotland would be the successor state and would therefore inherit membership of all those bodies, leaving England, Wales and Northern Ireland free from the European Union? Madam Deputy Speaker (Mrs Eleanor Laing):Order. I am going to give the hon. Gentleman the protection of the Chair on that question, which he does not have to answer, because we are beginning to stray a little—not far—from the point in question. Pete Wishart:Thank you, Madam Deputy Speaker, although I do not need your protection when it comes to these issues. All I will say to the hon. Gentleman is that he should turn up to next week’s debate on Scotland’s place in the United Kingdom so that can discuss them further.I will bring my remarks to a close. What we are seeing today is a dreadful Bill being made even worse. We will vote against it on Third Reading, although I do not think that we will get much of a debate on Third Reading. It is a terrible Bill, and this has been an awful process. It makes me ashamed that we are still part of all this. I just long for the day when we will have a Government in Scotland who do not spend all this time exercising themselves, as this Government do, over immigration, EU exit and all the nasty and pernicious things they are doing because of UKIP. It might as well be Nigel Farage standing at the Dispatch Box. Why do we not just get him in, because he has the whole House dancing to a UKIP jig? That is what we will see right up to the end of this Parliament: Nigel Farage pulling all the strings of Conservative Front Benchers. They might as well have him at the Dispatch Box, because this is nothing other than a UKIP Bill. This entry was posted in Uncategorized on January 30, 2014 by petewishart. One of the more interesting developments of the past few weeks in the indy ref debate has been the emergence of ‘Wealthy Nation’. This is the group of so called right wing ‘libertarians’ and ‘conservatives’ for independence who recently announced their arrival with the most minimum of fanfares. Their arrival is important as it is a timely reminder that the cause of independence is an ‘all Scotland’ affair with independence offering opportunities to all sides of the political spectrum. There are those who somehow believe that independence will mean no more ‘conservatives’ in Scotland but that would be to deny the evidence of practically every developed democracy in the world. With independence there will of course be centre right parties and they will play a productive part in our new democracy. Scandinavia is often held up as a very good example of what an independent Scotland will look like but Sweden and Norway currently have centre right led Governments, and in the mythical world of Denmark’s Borgen, even Birgitte, has to cut a deal with a right wing Staatsminister! What there won’t be following independence is any more ‘Westminster Conservatives’ of the current variety we find in our Scottish democracy. It is this Westminster attachment that has held back the development of a distinctive Scottish right in our devolution age. With independence that Westminster curse will be lifted and a Scottish right wing party pursuing an exclusively centre right Scottish agenda will emerge to probable significant support in Scotland. I represent what was amongst the safest Westminster Conservative constituencies in Scotland. I have profited from the drift away from the current ‘Conservative’ party and disillusionment in what the Tories have to offer. 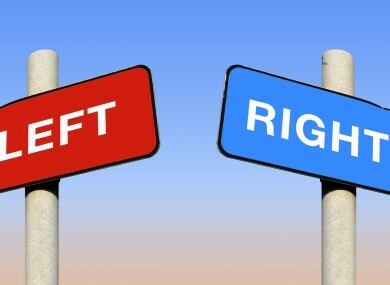 I don’t believe that all those people in Perthshire have necessarily stopped being ‘right wing’ but they have certainly stopped being supporters of a ‘Conservative’ party that offers them nothing but an almost alien Westminster agenda that does not chime with their experience or aspirations. Independence will liberate the right and unshackle it from this Westminster dead hand – a dead hand that the Scottish people have quite rightly consigned to the electoral fringes. Other than the White Paper the only visions we have been been offered of a future independent Scotland has come from the left. The Common Weal project and Radical Independence propose a compelling vision of a new Scotland very much modelled on Scandinavia and based on classic re-distributive social democracy. They have worked hard to deliver this particular vision, and attractive as they may be, they are but examples of what a possible independent Scotland could look like. It is also ironic that they look to Scandinavia for inspiration just as those nations are looking to the centre right for solutions to some of their current difficulties. So perhaps the nation of Adam Smith that played such a significant role in the formation of classic libertarian economic theory will now work up that right wing vision of what a future independent Scotland would look like? So far we find that opinion polls show that those on lower incomes are the most likely to support independence and this is possibly as a result of the influence of the ‘Common Weal’ and the work that has been done on a left wing modelling of a potential independent Scotland. What ‘Wealthy Nation’ will hopefully offer is that right wing, Conservative vision, of independence, that will attract and inspire those who favour their politics more right of centre. An independent Scotland is ours to create and design and in our first independent election there will be the full range of the political spectrum competing for our support. This is the ‘all Scotland’ programme and what independence is all about. A place to present new, Scottish solutions, for our future offering the fullest range of possibilities for the Scottish people. This entry was posted in Uncategorized on January 7, 2014 by petewishart.